Open four days a week for riding – call track hotline for weekly schedule or visit website. 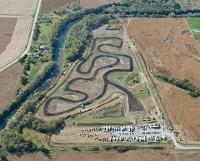 The Abbott Motocross Facility features three motocross tracks and off road riding trails. The main track is 1.5 miles long and 30 feet wide. This track features doubles, tabletops, rhythm-sections, rollers and off-camber corners. The vintage track consists of natural terrain and rolling hills. There is also a mini-track open to youth riders on 50cc or 65cc motorcycles or ATVs. Competitive events held throughout the year. The Ethel S. Abbott Sports Complex is one of the finest sports complexes in the nation, with over 100 acres, with 60 of those acres being professionally maintained fields. The multipurpose indoor facility holds 11 volleyball courts, 4 basketball courts and one indoor turf field. The complex hosts major soccer tournaments, volleyball tournaments, basketball tournaments and other civic events. Get your competitive juices going in a family-friendly atmosphere with two 18-hole courses; six batting cages, an arcade, and a clubhouse with snack bar. Germans from Russia were attracted to Lincoln and the Great Plains by a climate similar to what they had experienced in Russia as well as recruitment from the railroads and opportunities associated with the Homestead Act. By 1914, more than one-third of Lincoln's population was made up of these immigrants and their descendants. This museum is dedicated to preserving their history and culture and houses the International Society offices, archives and special displays. The Antelope Valley Trail runs roughly north-south through downtown Lincoln with the University of Nebraska on one end and Lincoln High School at the other. It begins near the Bob Devaney Center, a sprawling athletic complex and sports arena home to the Cornhuskers basketball, gymnastics, track and swimming teams. Mid-way along the route is Union Park Plaza, an urban park with impressive water features, artwork and an outdoor amphitheater, as well as Trago Park with its family-friendly playground and sprayground. Area's largest selection of antique furniture, collectibles and primitives. 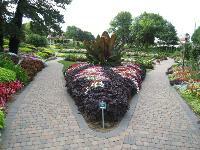 Explore and enjoy the 260 acres of Arbor Day Farm in Nebraska City, Nebraska -- the home of Arbor Day! The natural beauty of this National Historic Landmark makes every visit a lifelong memory. 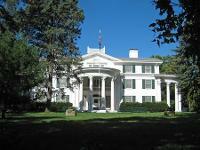 Arbor Lodge State Historical Park in Nebraska City, is the original estate of J. Sterling Morton -- the founder of Arbor Day. The park includes a historic mansion, arboretum, Italian terraced garden, a log cabin, hiking trails and a carriage house. The mansion is open for tours and special events under the direction of the Arbor Day Foundation.